Nelson is a thriving city on the coast at the top of the South Island in New Zealand and is one of the oldest settlements in NZ. The region has a warm climate and can be used as a base for access to some lovely beaches and, being between the two ranges of Arthur and Richmond, there are national parks to visit too such as the Nelson Lakes National Park, Abel Tasman National Park, and a bit further away the Kahurangi National Park, all in the Tasman Region. 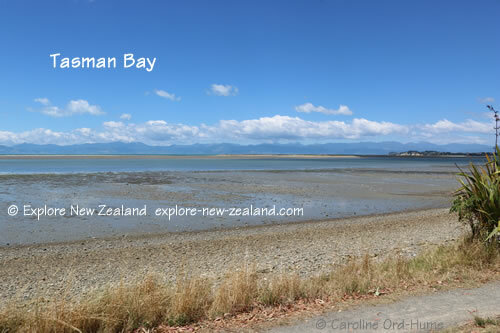 It doesn’t take long to drive to Nelson from the port of Picton, and if that is your route it is well worth driving the first part of the journey along the Queen Charlotte Drive as you leave Picton. The stunning Abel Tasman National Park with its golden beaches and clear water is doable in a day trip from Nelson and is not to be missed. There is plenty to do in this popular region such as wineries, beaches, museums, art galleries, markets, kayaking, sailing, paragliding, rock climbing, quad biking, and national parks. The Nelson i-site tourist information centre will have up to date leaflets on the city and region on activities, getting around, accommodation, food, drink, and entertainment.